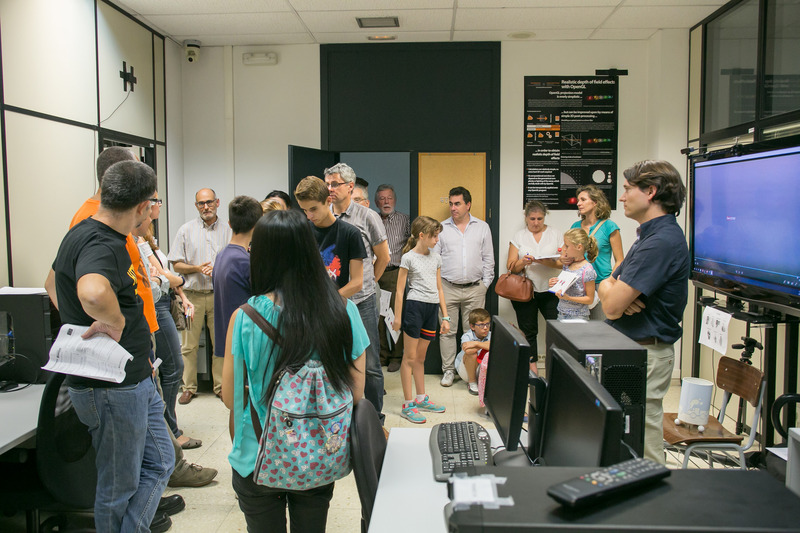 The ETSI de Telecomunicacion has participated in the European Researchers’ Night 2018. European Researchers’ Night is an open science event that makes science and the work of scientists familiar to audiences all over Europe. The common theme of all the activities was the emerging technologies, and how they affect our lives, focusing on Big Data, Internet of Things, Biotechnology, Clean Energies, Biomedicine and Nanotechnology. All the activities were divided between itineraries in different time slots, to facilitate that all the attendees could go to the greatest possible number of activities, events or talks. 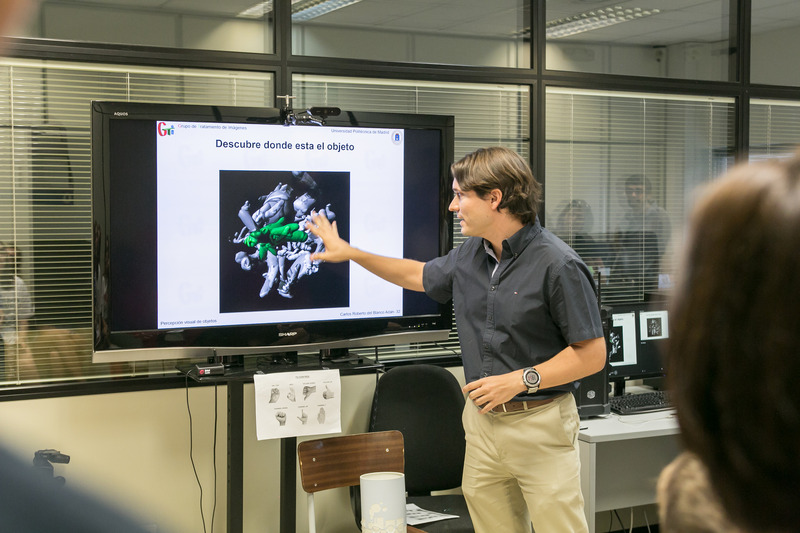 GTI’s researchers made activities based on computer vision applications of machine learning and deep learning to image analysis. Results of the application of these techniques to detection and identification of tiny objects in video sequences, and an interactive system of hand gesture recognition applied to camera control were presented.